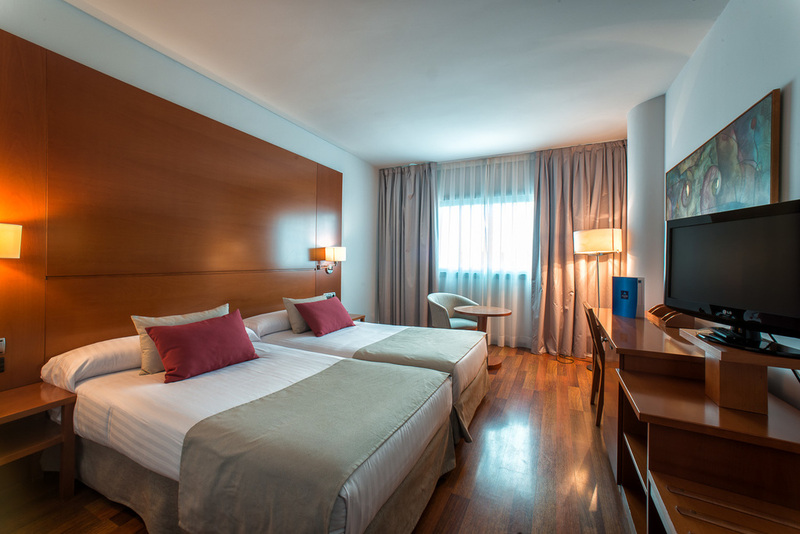 From 54€ per night - 93 rooms of 5 types. Exterior and bright non-smoking room equipped with large twin beds (more than 2 m. long), air-conditioning, heating, flat screen TV with satellite channels, minibar (surcharge), high-speed Wi-Fi Internet access, telephone, desk, safety deposit box and en-suite bathroom with shower or bath, free toiletries and hairdryer. We also offer, on request, two rooms with access adapted for guests with reduced mobility. Exterior and bright non-smoking room equipped with large twin beds (more than 2 m. long), air-conditioning, heating, flat screen TV with satellite channels, minibar (surcharge), high-speed Wi-Fi Internet access, telephone, desk, safety deposit box and en-suite bathroom with shower or bath, free toiletries and hairdryer. We also offer, on request, two rooms with access adapted for guests with reduced mobility. Parking included. 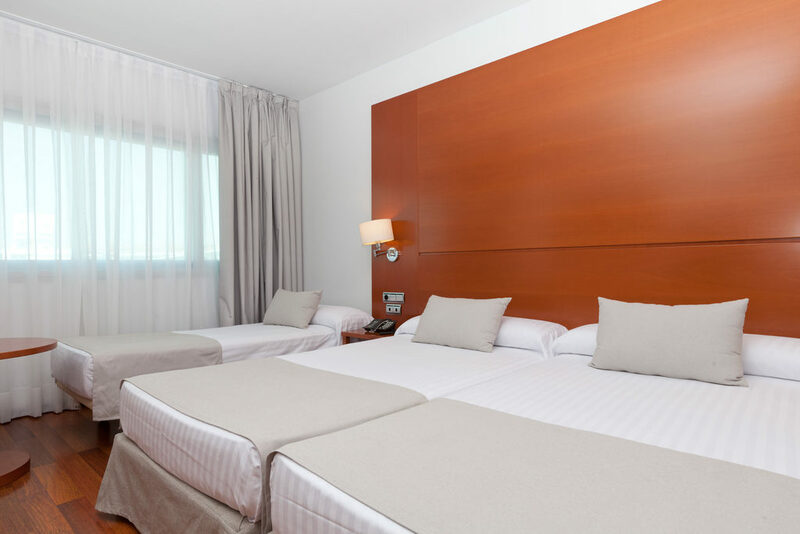 The hotel has 2 non-smoking suites which comprise two different areas: the living room and the bedroom, equipped with all the refinement, exclusive details, facilities and services of a hotel of our category. Exterior and bright non-smoking room equipped with large twin beds (more than 2 m. long), air-conditioning, heating, flat screen TV with satellite channels, minibar (surcharge), high-speed Wi-Fi Internet access, telephone, desk, safety deposit box and en-suite bathroom with shower or bath, free toiletries and hairdryer. Familiar rooms which comprise two different rooms separated by one communicating door. 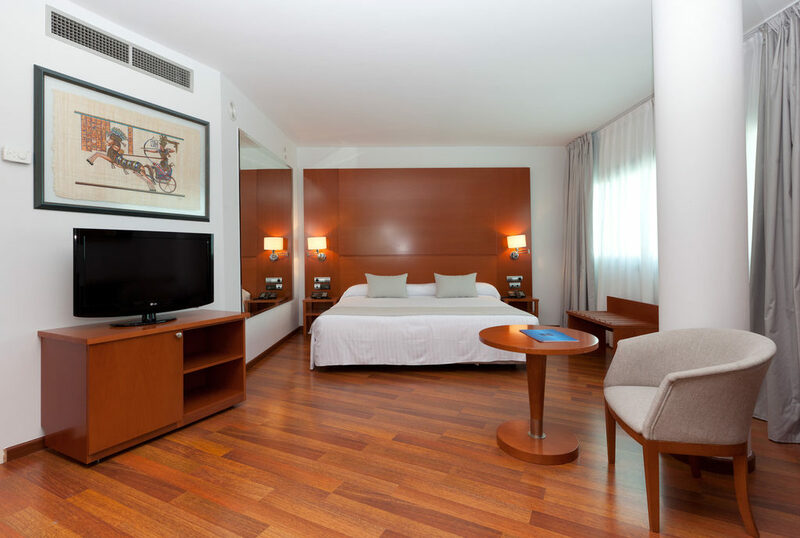 Both rooms are equipped with all the refinement, exclusive details, facilities and services of a hotel of our category.